It may be an unpopular opinion, but please just let me explain myself in this one. Also before you think I’m just a “hater” or I’m just going to bash on him, think again. 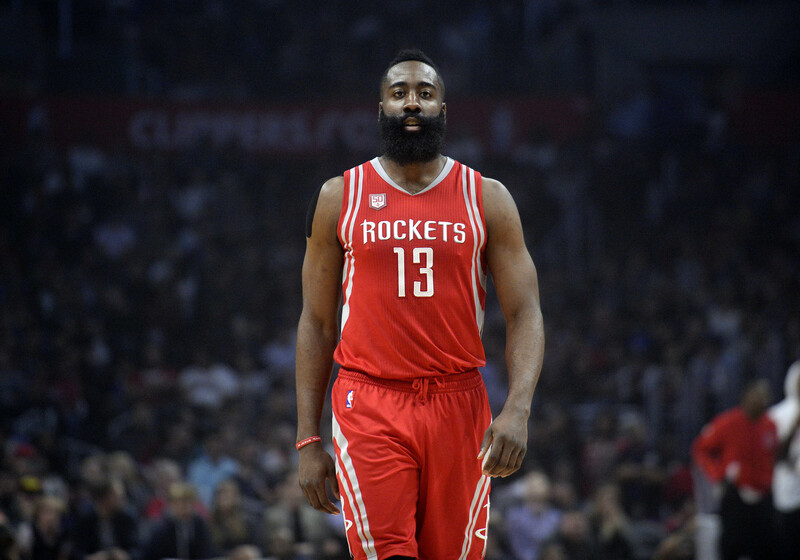 Harden is actually one of my favorites in the NBA and I’d like to consider myself a rather big supporter of his. I am glad that he is a finalist for MVP, but if I’m being completely honest, he doesn’t deserve the award. The leagues true MVP is the one and only LeBron James. First off, let’s talk game 7 of the Western Conference Finals. After their defeat to Golden State, it became clear Houston cannot contend without Chris Paul. The Rockets had an impressive first half, but the second the Warriors took the lead in the 3rd quarter, they completely fell apart. Relying heavily on getting to the foul line, Harden didn’t get the calls he’d normally get in the regular season. That reason being, it’s the playoffs. The referees allow much more contact and overall playing in the playoffs compared to the regular season. When Harden isn’t getting those calls, he quickly turns into a liability. Especially when he and the entire team go ice-cold shooting behind the arc. Missing a playoff-record 27 straight three-pointers, Harden and the Rockets failed at the one thing they rely on so desperately. James Harden offered no leadership or direction to his team in arguably the franchises biggest game since the 1990’s. Chris Paul is the leader and the X-factor of this Houston team and I firmly believe they would have won this series had Paul, not got injured. This series specifically showed that James Harden isn’t even the most valuable player on his own team, let alone the entire league. As for LeBron in the playoffs, his performances speak for himself. Two game-winning buzzer beaters, averaging 34 points, 8 assists, and 9 rebounds, swept the No. 1 seed in the East and beat Boston at home in game 7 to reach his 8th straight Finals. All of this while carrying an average at best roster. Sorry, but that is also incorrect. Brace yourselves for this. The numbers don’t lie. If the MVP award was truly rewarded the most “valuable” player every year, LeBron would have won it every season for the past decade. Obviously, the NBA didn’t let that happen, but it just goes to show how meaningless the NBA awards and awards, in general, are in sports. I’ve said it before and I’ll say it again, I love James Harden. He’s an absolute thrill to watch and one of the greatest basketball talents in the world. You know what? He most likely will still win the MVP award and I won’t be upset at all by it. It still won’t change the fact that compared to LeBron, there is no other player on this planet near his value and that’s why I believe he is the real MVP.